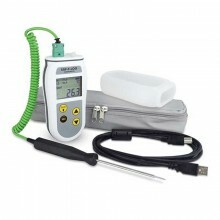 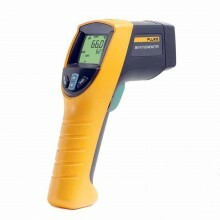 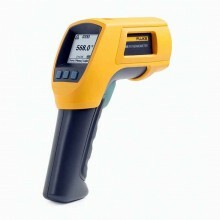 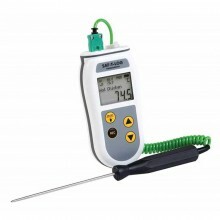 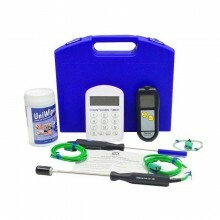 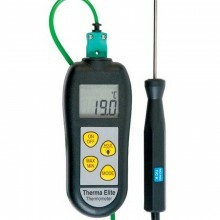 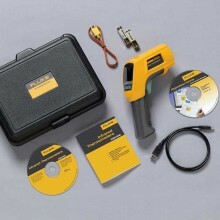 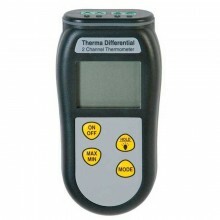 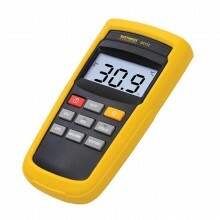 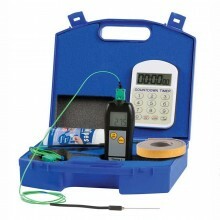 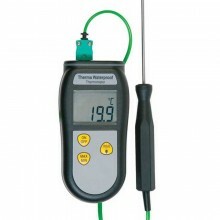 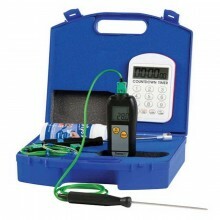 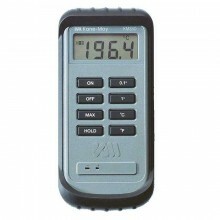 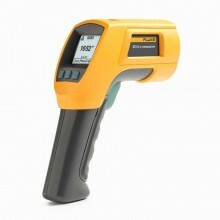 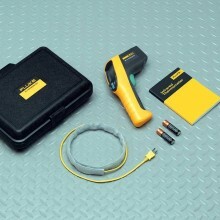 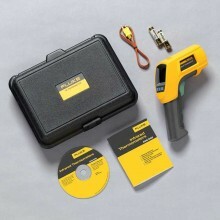 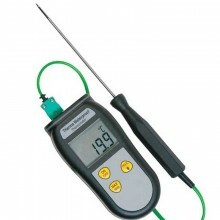 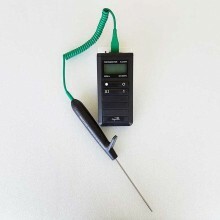 Includes: Therma 3 thermometer and traceable certificate of calibration. 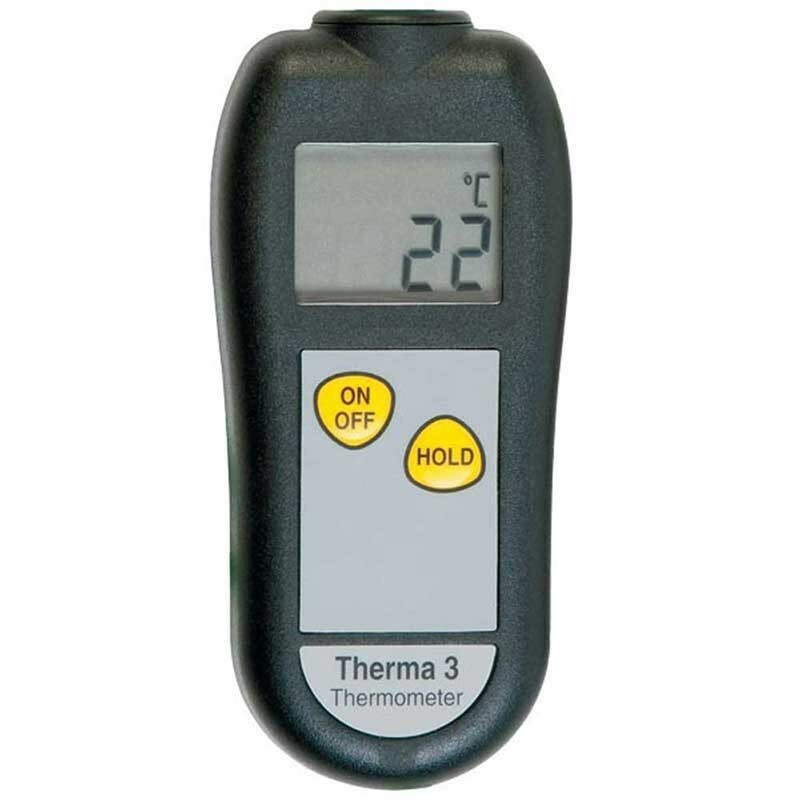 The ETI Therma 3 is a rugged and easy to use instrument that operates through the range of -100 to 1372 °C with a 1 °C resolution. 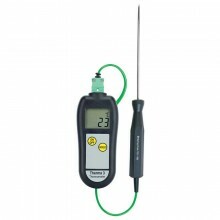 The thermometer is housed in a robust ABS case that contains 'Biomaster' additive which reduces bacterial growth. 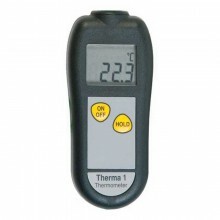 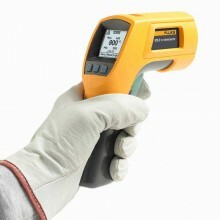 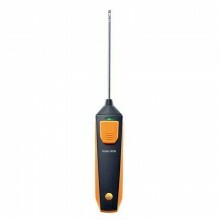 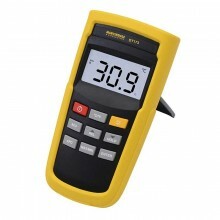 The Therma 3 features a large, easy to read, LCD display with open circuit 'Err' and low battery indication. 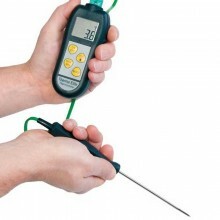 Each thermometer is powered by three 1.5 volt AAA batteries that gives a minimum of five years battery life. 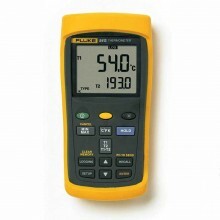 The unit will power off automatically after ten minutes, maximising battery life. 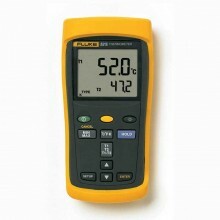 Temperature Range 1 °C -100 to 1372 °C. 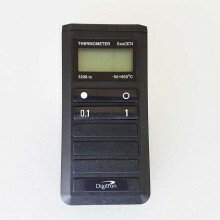 Measurement scale Celsius / Fahrenheit. 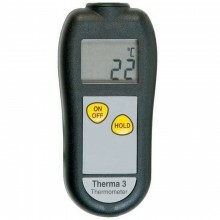 ETI Therma 3 warranty 2 years. 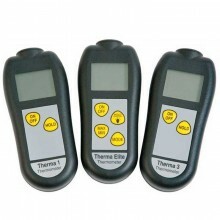 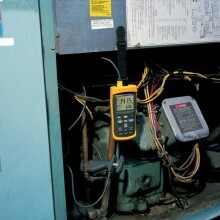 PDF Instruction manual for the Therm 1, Therma 3 and the Therma Elite Industrial Thermometers.